Stevenson prefaces the gameplay by saying Marvel’s Spider-Man opens with the webslinger putting Kingpin behind bars. Yet, most of Wilson Fisk’s men are still running through the streets of New York. Stevenson then climbs to a rooftop, where Fisk’s men are patrolling, and shows off stealth and action-heavy combat. After clearing the hideout, Stevenson has Spider-Man climb to the top of the Empire State Building. The view from high above New York is nothing short of spectacular. Landmarks, such as Avengers Tower, the Oscorp Building, and Central Park, stand out, while all of Manhattan is open for exploration. Once Spider-Man dives off of the Empire State Building, he begins engaging in some of the open-world activities. Collectibles, like Peter’s lost backpacks, are strewn about the world. Another activity allows Spider-Man to interfere with crimes in progress. In this demo, the crime he thwarts is a robbery. As the lengthy gameplay sample draws to a close, Spider-Man gets a phone call about Shocker. The boss battle previously seen in the E3 demo then plays out. Aside from the Sinister Six being the main threat, few details about the story have been revealed. However, hints here and there do suggest what fans can expect from Insomniac’s latest. For instance, the possibility of more villains appearing was recently teased. While Marvel’s Spider-Man is indeed chock-full of surprises, we know Venom won’t be one of them. Thankfully, the long wait is nearly at an end. 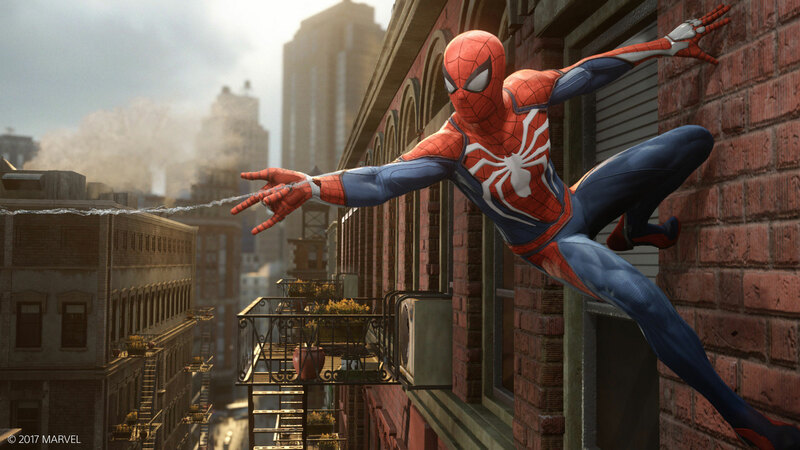 Spider-Man drops on PlayStation 4 on Friday, September 7th.